If students can’t use the language they are learning for practical – REAL WORLD – purposes then why do we do what we do? I think (desperately hope) that most teachers agree our focus should be on teaching students how to use the languages they are learning. Many of us have attended a workshop on proficiency or maybe even several but the conundrum is still how to I move from conceptual understanding to practice? Maybe there is fear of making the shift from understanding to practicing. Fear of student buy in, parental or administrative push back, fear of our own limitations, all equally important to address and mitigate. This conundrum of shifting from comprehension to practice is fascinating to me. As educators, we are all at some stage of embracing the growth mindset for our students but often not ourselves. I have often said that I believe most teachers are overachievers who have embraced a profession that allows us to continue to learn and evolve. I do not think that anyone sets out be bad at their chosen career. So safe can become the default. Peggy Boyles once compared implementing performance assessment to becoming a gourmet chef. She reminded teachers that gourmet chefs did not wake up one day magically as a gourmet chef. Instead they worked on perfecting one dish at a time until they had a repertoire that qualified them as a gourmet chef. Teaching is no different. What if your gourmet meal this year was infusing proficiency and performance in your classroom. Put it in the drivers seat and buckle up! Several of my teachers have done just that. It is the source of lots of conversations and reflection. A year ago, we added a pre-unit into all of our district curriculum on performance and proficiency. Our aim was to make students partners in this language learning process and subsequently to demystify and debunk misconceptions of fluency timelines. After that pre-unit I surveyed volunteer high school students to provide feedback on the experiences they had in this unit. Over 900 students responded voluntarily and the results were astounding. Students were excited with statements such as ” I finally know what my teacher wants” and “now i know what i am working towards”. 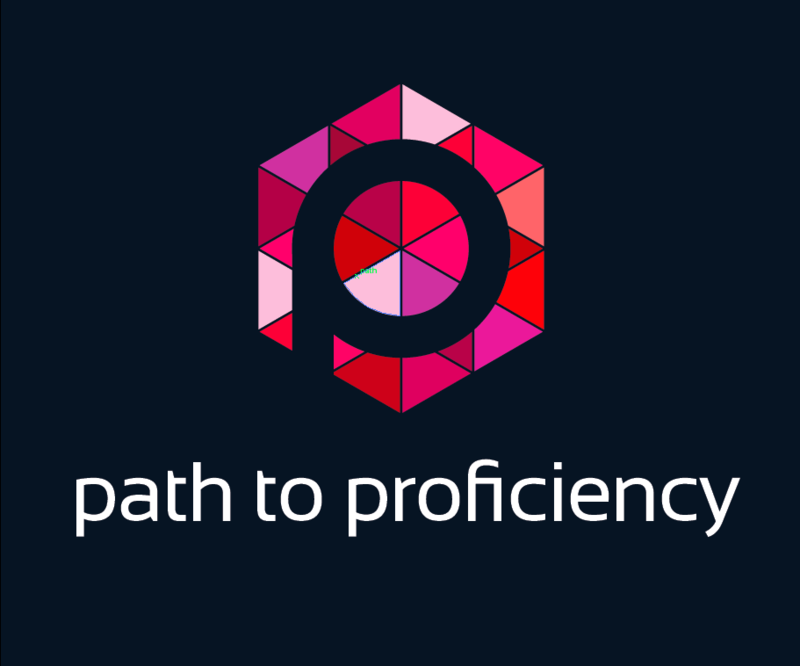 We started last year with the path to proficiency. This year many teachers have created proficiency trackers with their students! 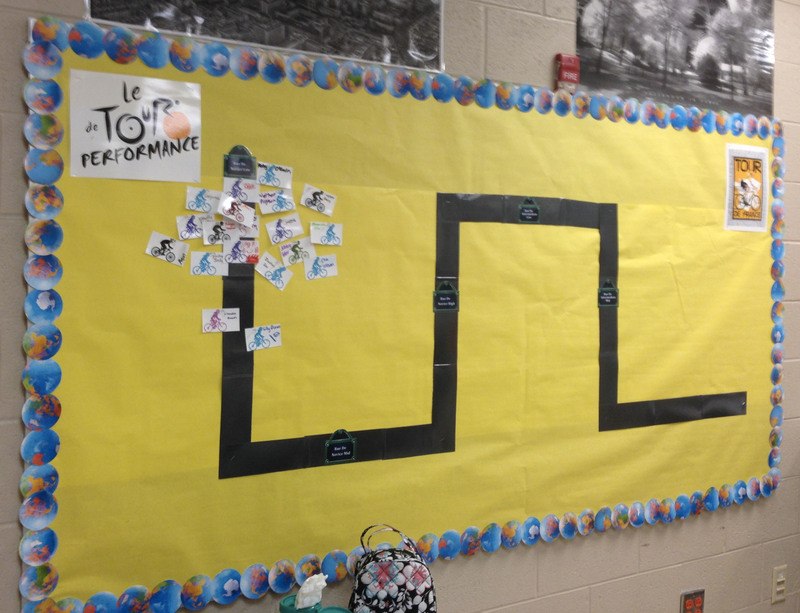 Below is an example of a French teacher’s take on tracking proficiency with his students. It is really exciting to see the performance conversation continue through the year by engaging students in the reflective process. All students get a card with a bike and their name on it. The bikes are placed on the “Rue de Novice Low” as their starting place. During the pre-unit students set annual performance goals with the teacher. Next teachers pre-assess students to see where everyone is in their current practice. They conduct an interpersonal interview, an interpretive reading or listening assessment and a presentational writing task. Once students have completed their pre-assessments and have received scores, their bikes move according to their performance levels. There are 3 more check points in the year where their bike could move based on their performance. This teacher combines the Tour de Performance with their feedback sessions after each of these check points. The goal is to provide a constant reminder of where students are currently performing and where they are headed. There is a quote I often refer to when feeling a bit overwhelmed or disappointed in my performance at the gym. It says: “Dead last is greater than did not finish which trumps did not start.” The important thing to remember is what is most important is that you begin. The teacher you are today is not the teacher you were when you started. The teacher you become depends on the courage to take the first step. Whether to you choose to jump in with two feet or dip your toes in the water this year, engage your students around performance and proficiency. Make performance and proficiency your gourmet meal for the year! It will be worth the adventure!